Arc-OSX-Icons and OSX-Arc-Themes collection is a set of modern icon packs and GTK themes inspired by macOS. These icon packs are based on paper icons, with some changes and added goodies. 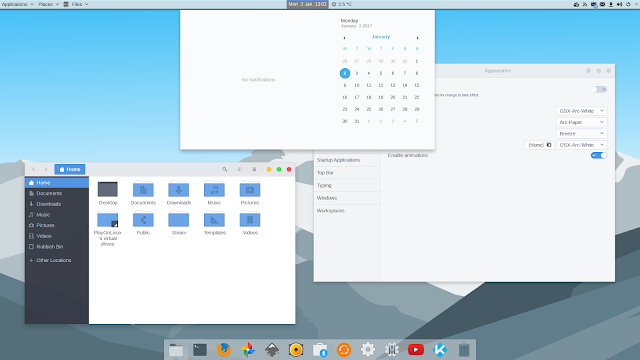 The GTK theme pack is based on arc-themes and supports Gnome, Unity, Budgie, Pantheon, XFCE and Mate desktop environments. To install the icon pack, download zip file from here. Extract it and open a terminal in extracted folder. Now run the command below to install the icon pack. The theme pack can be installed from deb packages available here. You can now use your distribution specific tool to change themes and icons.